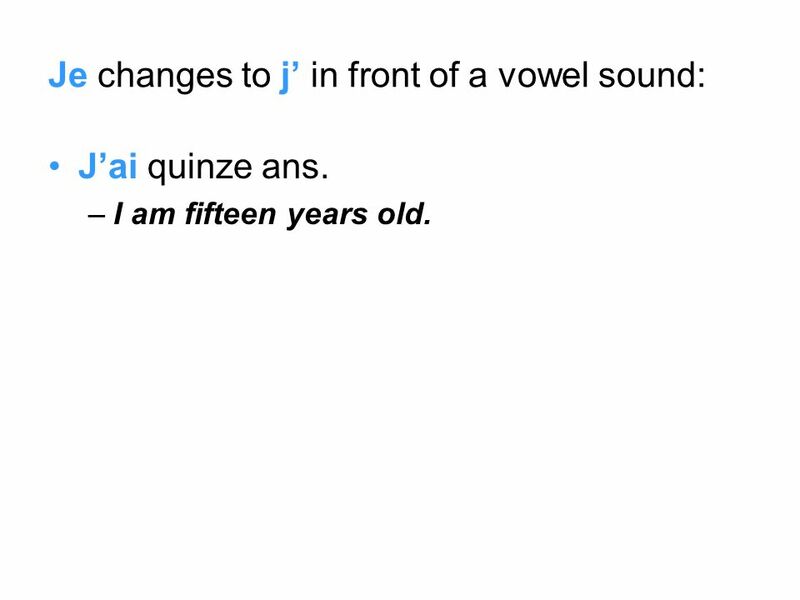 3 Je changes to j in front of a vowel sound: Jai quinze ans. –I am fifteen years old. 4 Both tu & vous mean you. Use tu for: a friend, a family member, or someone your own age. 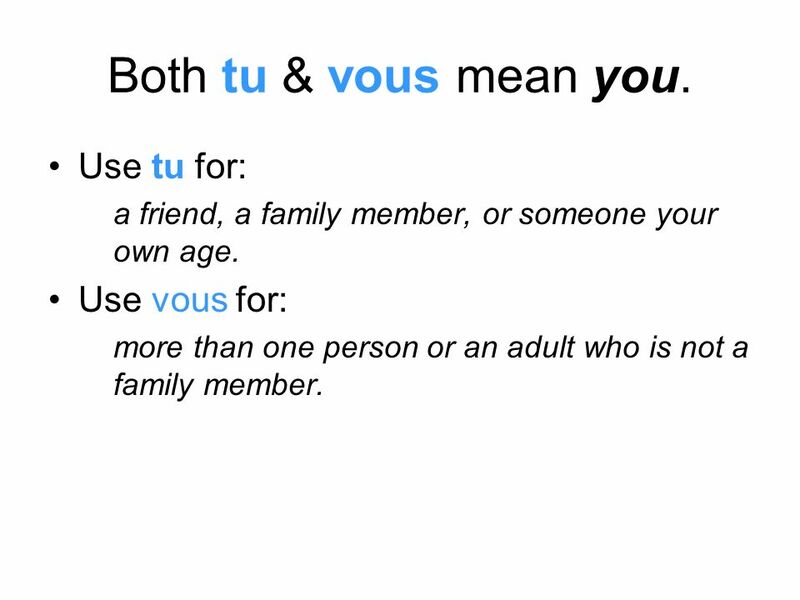 Use vous for: more than one person or an adult who is not a family member. 5 The pronoun on has no direct translation in English. It can mean we, they (as in people in general) or one. (Youll know the meaning based on the context.) –En France, on parle français. –In France, they (people in general) speak French. 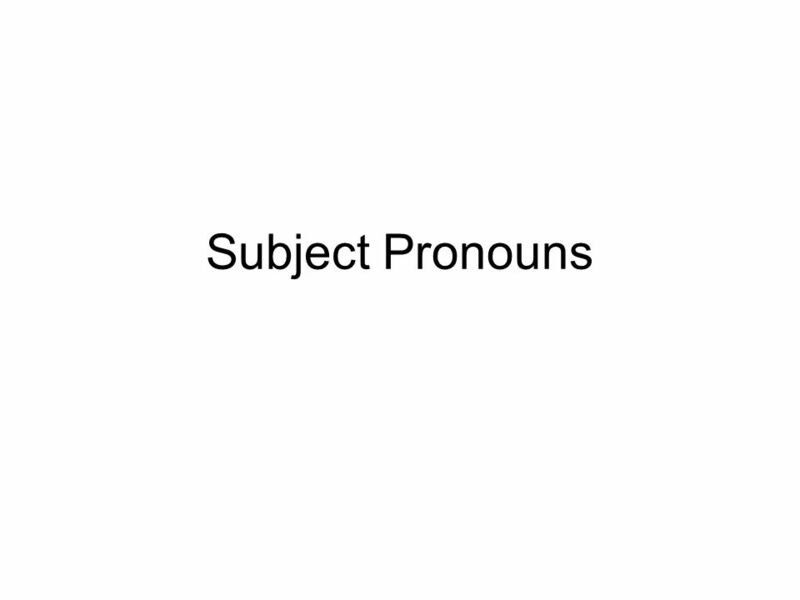 Download ppt "Subject Pronouns. 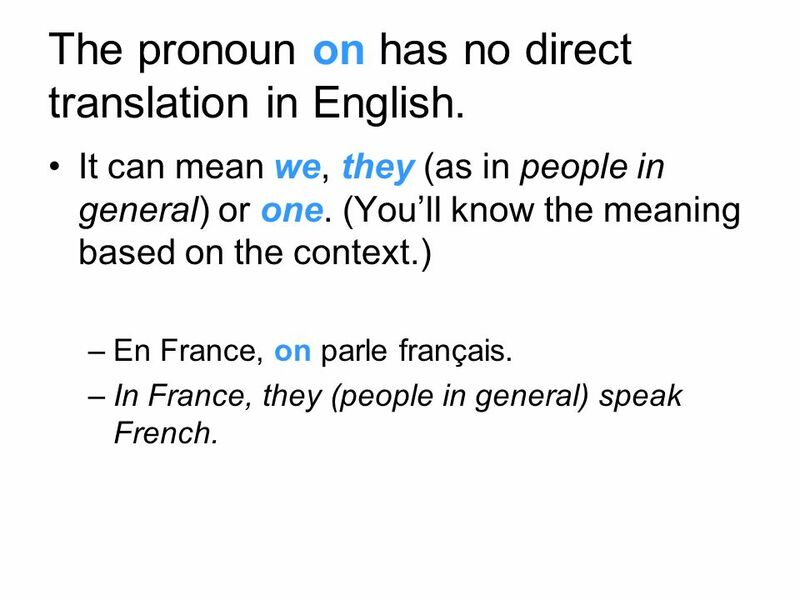 These are the subject pronouns in French: je (j)Inouswe tuyouvousyou ilheilsthey (all male or mixed group) ellesheellesthey (all female)"
Grammaire: Leçon 6 Introduction to Verb Conjugation and Subject Pronouns. Grammaire 1-1 Les Sujets et les verbes Subjects and Verbs. 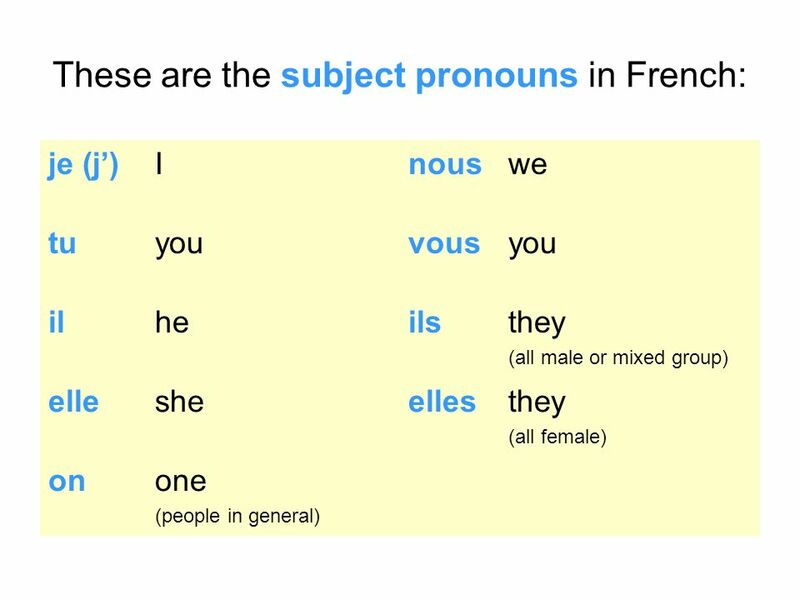 Les pronoms français Or… French pronouns. Quel âge as-tu? How old are you?.